Consisting of 6 lots in total203-23-008A,203-23-020E, 203-23-008F 203-23-007H, 203-23-007F & 200-23- 008 J. Can be subdivided. Buyer to verify all information. Beautiful views in every direction. Don't miss this one! Site is perfect for capturing the gorgeous sunrises, captivating sunsets and glimmer of the city lights at night.GREAT LOCATION * DEVELOPERS DREAM LOT * BUILDERS TAKE A LOOK , MOUNTAIN TOP LOTS CONSISTING of a total of 17.88 ACRES. CAN BE DIVIDED WITH FANTASTIC BUILDING LOTS ON SOUTH SIDE AND IN SADDLE BETWEEN TWO MOUNTAIN TOPS. 360 DEGREE VIEWS CAN MAKE ONE OF A KIND HOME SITES NOT USUALLY AVAILABLE FOR PURCHASE UTILITIES CLOSE TO CORNERS.Beautiful views in every direction. Don't miss this one!Site is perfect for capturing the gorgeous sunrises, captivating sunsets and glimmer of the city lights at night. A must see! With no HOA you can design and build your custom homes you have been dreaming of, surrounded by unobstructed city lights. 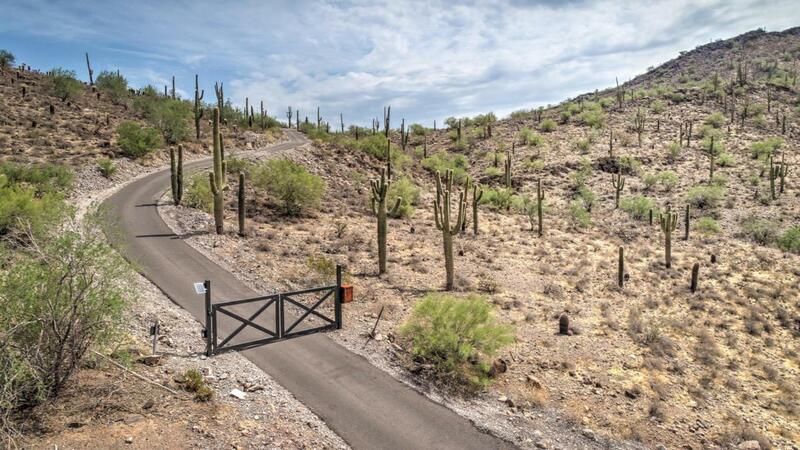 I know You will want this amazing hillside lot with stunning views, surrounded by beautiful desert vegetation and saguaros. A must see!